Donald Deskey (November 23, 1894 – April 29, 1989) was an American industrial designer. Deskey’s approach to design was strongly influenced by the new European modernist principles he encountered while attending at the 1925 International Exposition of Modern Industrial and Decorative Arts in Paris and visiting the Bauhaus in Germany. Initially, Deskey experimented with these ideas at his company, Deskey-Vollmer, Inc., during the late 1920s. Most European modernist works, however, were made with expensive materials and labor-intensive procedures. These were characteristics that Americans were reluctant to embrace in the wake of the Depression. By the early 1930s, Deskey had struck out on his own and revised his approach. He made his designs more affordable and appropriate by adapting nontraditional materials, such as cork, aluminum, and steel, into his furniture and interiors. 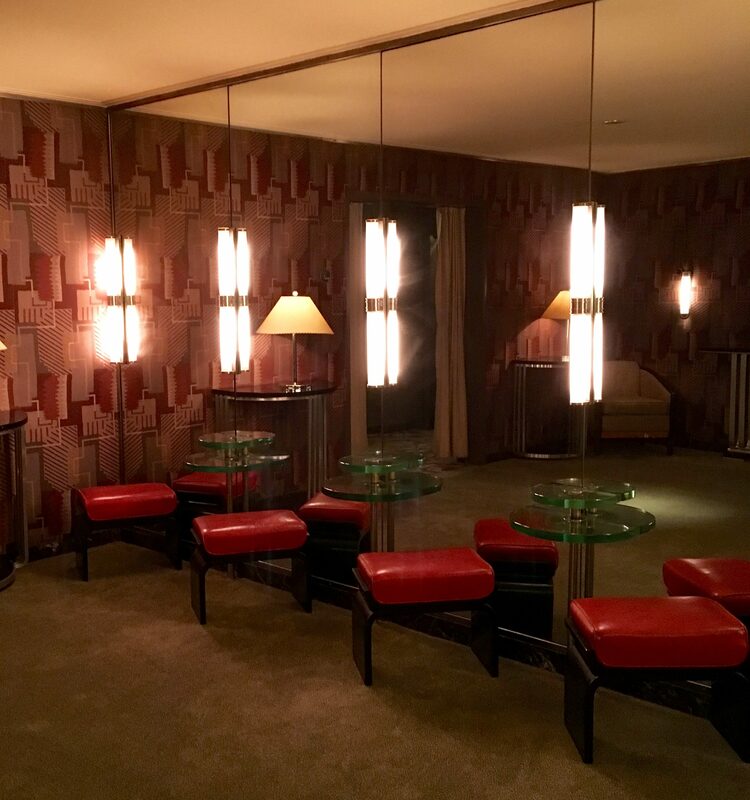 In 1932, he was awarded the commission to complete the interiors of Radio City Music Hall (RCMH) — the first public commission to feature these unlikely materials. Although we now consider the interiors of this landmark theater to be a great achievement in the history of design, project manager Samuel “Roxy” Rothafel originally envisioned a more traditional rococo style. 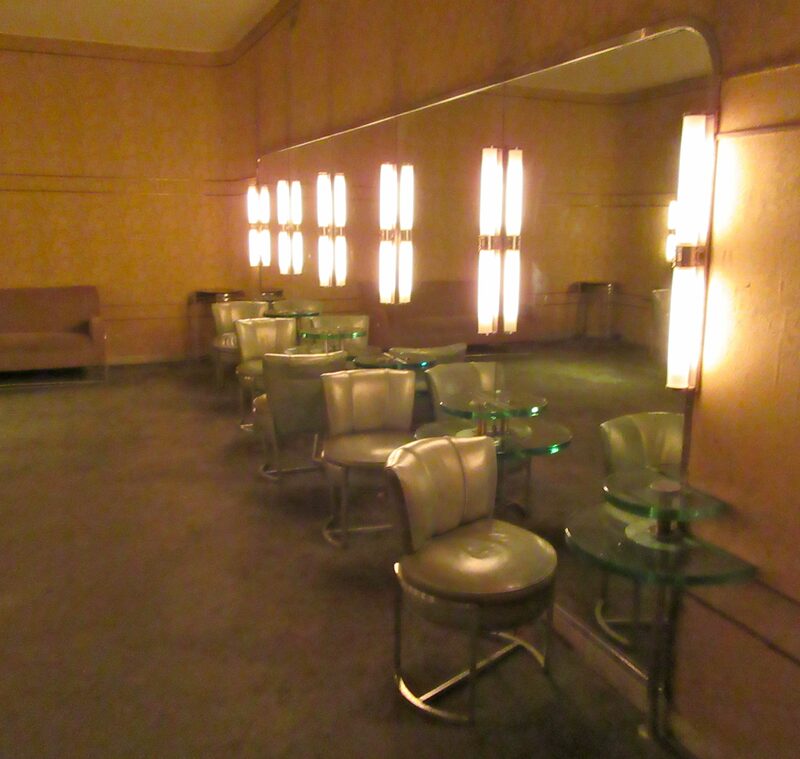 Deskey, a strong proponent of modernism, met Rothafel halfway by designing an interior in a style he called, “modern rococo.” Aluminum wallcoverings, whimsical modern patterns, and furniture made of Bakelite and tubular steel graced the halls, lobbies, and powder rooms of the theater.